Shumbashaba is not your usual horse programme. It's a nonprofit community organisation that focusses on how horses can positively impact people and help to change lives for the better. They run projects and programs in which horses are helping people to reach their full potential as spiritual, physical and emotional beings. Shumbashaba’s Horses Helping People programs reach out and touch the lives of a great many people, the majority of whom come from Diepsloot, a neighbouring township on the northern outskirts of Johannesburg, home to some 250,000 people, where unemployment, poverty and crime are rampant. People with and without disabilities are welcome to use the services of Shumbashaba. The income earned from private fee-paying clients is an important source of income which contributes towards running our outreach programmes for participants who cannot afford it. The outstanding funds are raised through fundraising events and donations. In recognising the long and key role horses have played in our history and by harnessing the power horses have to impact meaningfully on humanity Shumbashaba has developed therapeutic programs that involve both riding and non-riding. The therapeutic riding program offers hippotherapy for people with disabilities with the opportunity for them to progress to riding as a sport & recreation. The non-riding program offers life skills and counselling using the EAGALA methodology recognised world-wide as being a powerful way of helping people restore a sense of self-worth and purpose, key ingredients necessary to improve lives and help people reach their full potential. 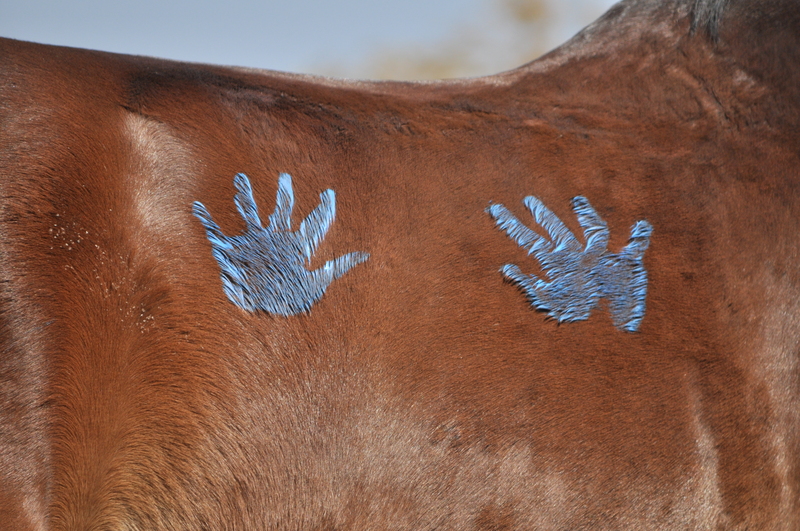 Shumbashaba Horses Helping People programs are recognized locally and internationally. 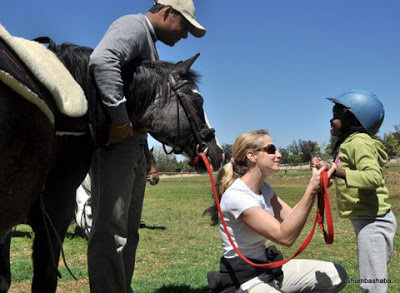 In 2012 Shumbashaba won the FEI’s (International Equestrian Federation) Development Award for its grassroots ground-based equine assisted psychotherapy and counseling programs offered to township youth. In the same year Shumbashaba won the local Letsema Award given by Murray & Roberts and offered in association with SASCOC (S.A. Sport Confederations & Olympic Committee) for its therapeutic riding programs for people with disabilities from formerly disadvantaged communities. 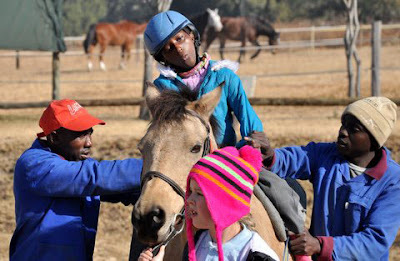 Shumbashaba has gone from a one-woman operation offering a therapeutic riding service to people with disabilities to a registered non-profit Trust offering a range of Horses Helping People programs, that have touched the lives of well over 1,600 people.